Sign up for the MyBroadband WhatsApp Daily Newsletter. Save 082 843 6948 as a contact on your smartphone, with the contact name MyBroadband. 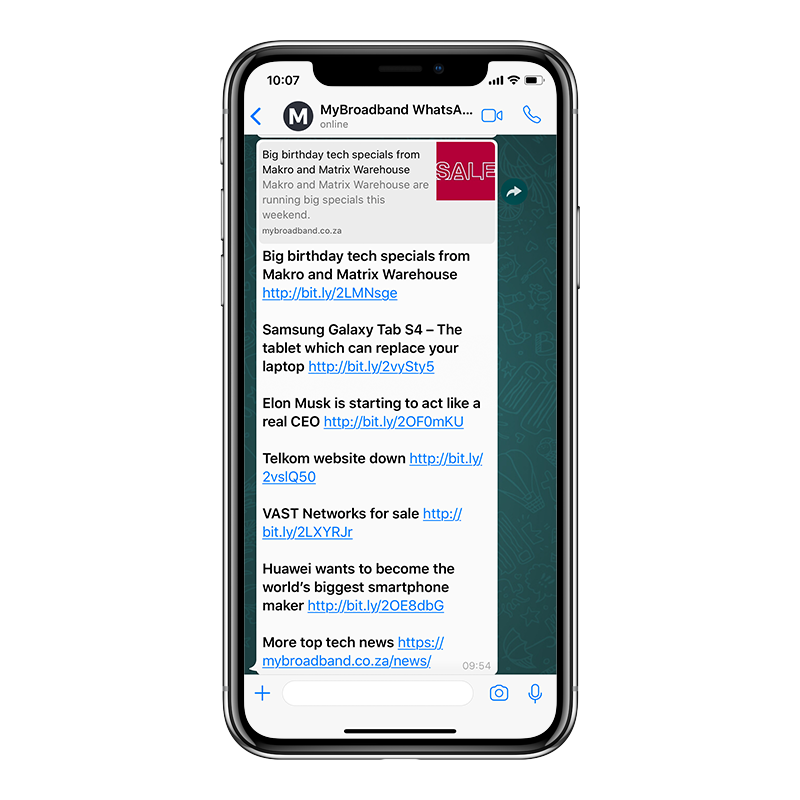 Send a WhatsApp message to the MyBroadband contact, containing the words MyBB Article. You will then be added to the MyBroadband WhatsApp list. To stop receiving the daily newsletter, please send the word STOP to the MyBroadband contact, and you will immediately be taken off the WhatsApp list. If you are viewing this on a mobile device, click here to subscribe. Be sure to add the number as a contact on your device. Please note: MyBroadband maintains the highest data protection standards, and will not share your WhatsApp number with any third-party. Your number will only be used for the WhatsApp Daily Newsletter – no other communications will take place.